Everyone’s been to Yosemite (well, most of us have) and dealt with its amusement park hoopla, but this Adventure of the Week from Chris Doyle of Tahoe Pines, California, gives us a peek at the more remote and just as beautiful side of the Sierra. Take inspiration from this post and get out and enjoy it before winter sets in! We’ve also got a huge camping and climbing sale going on, so it’s the perfect time to stock up for your adventure. 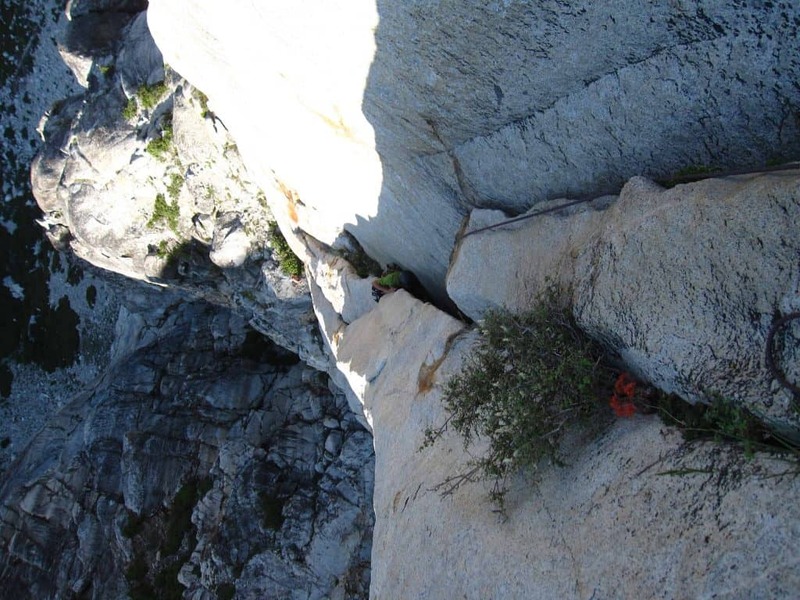 For starters, this is one of the most remote walls in the Sierra. Located 16 miles from the nearest road, Angel Wings only sees a few, if any, ascents each year, at least that’s what a ranger told us. Because of this, there’s only one free route on Angel Wings, but the wall has tons of potential. 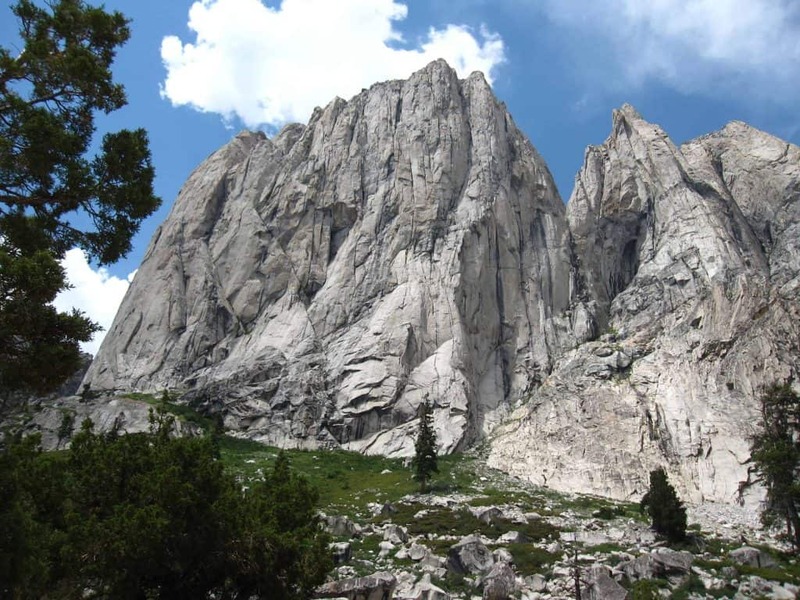 Its south face is the biggest rock wall in Sequoia National Park. Since it’s facing southwest, it’s best to go when temperatures are a bit cooler, though we went in July and just suffered through. As you can see from the pictures, it’s amazing terrain. It’s one of the more beautiful places in the Sierra that I’ve been to this day. Even if you’re not a climber I would highly recommend going to see the area. Getting there was part of the fun. 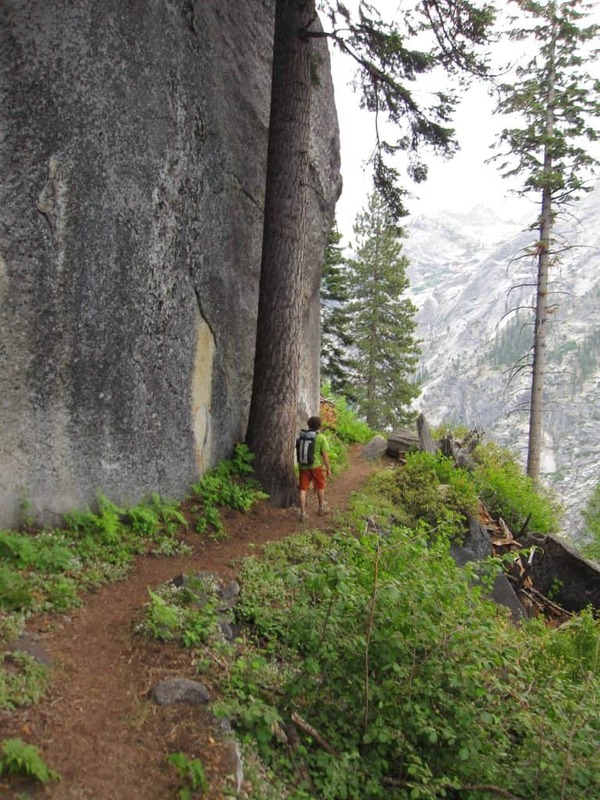 You start out in a giant sequoia forest, then hike through fields of wildflowers and narrow canyons. As you get higher in elevation, granite walls are everywhere. 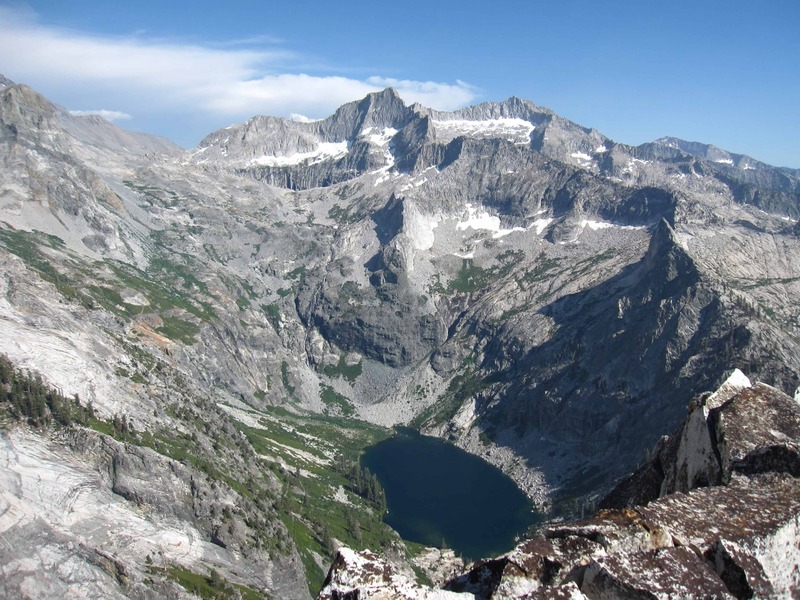 We camped three nights at the Valhalla campsite (by the lake seen from the top of Angel Wings in the picture above), hiking in the first day, climbing the second, then exploring the area on the third. Angel Wings is a few uphill miles from the campsite, so we had more hiking to do before we climbed. Its southwest arête has 12 pitches of 5th class climbing, plus a few more 4th class pitches at the top. The crux pitch is easily aid-able, but the rest of the route goes at fairly moderate grades, so you don’t have to be a 5.11+ climber to do this route. After you climb, you have a few solid hours of cross-country descending.